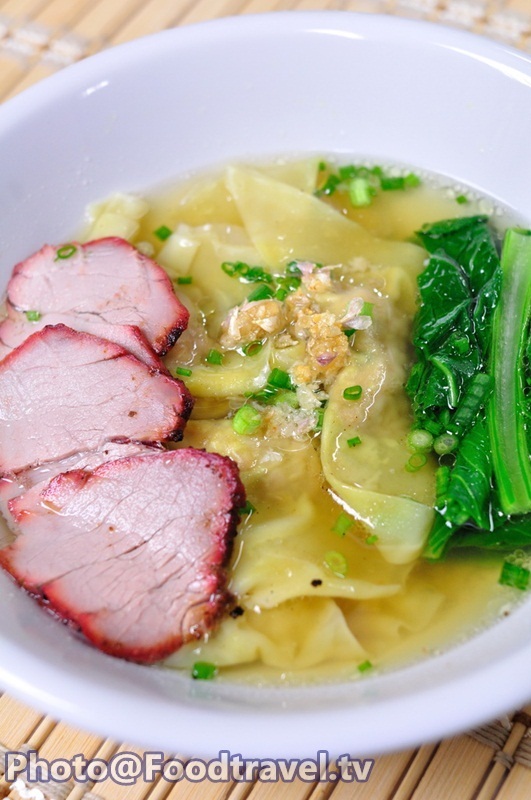 Wonton Soup Pork (Giaw Nam Mu) - Only you have minced pork so that you can cook this menu. Seasoning minced pork and fill inside wonton. Add sliced roasted red pork, sprinkle with spring onion and that’s it. 1. Chop Chinese mustard green for 2 inches and then slice spring onion and roasted pork. 2. Mix garlic , coriander root , oyster sauce , pepper , soy sauce and minced pork together. 3. After that put mixture on the wonton sheet and fold them to be wonton (see in clip). 4. Boil Chinese mustard green for 30 seconds and then boil wonton for 1 minutes. Roll them with fired garlic. 5. Pour soup in new pot and boil them. Seasoning with sugar , soy sauce and pepper. 6. 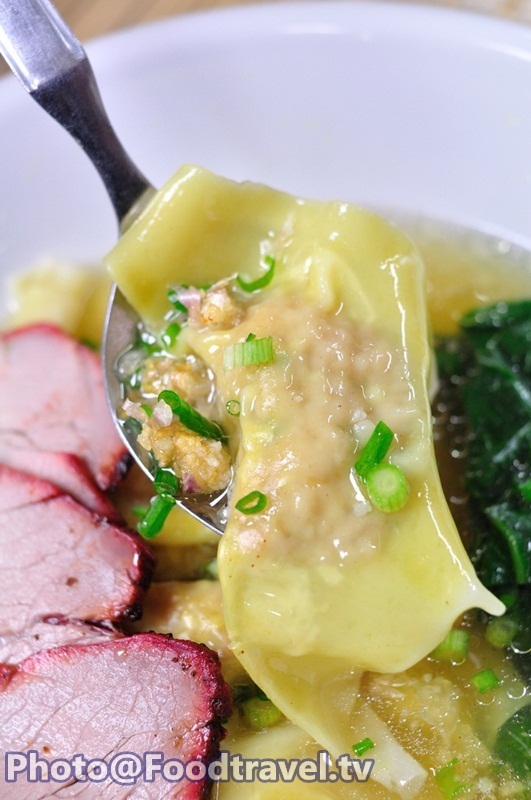 Serve wonton with chicken soup and roasted red pork. Top them with sliced spring onion and garlic.